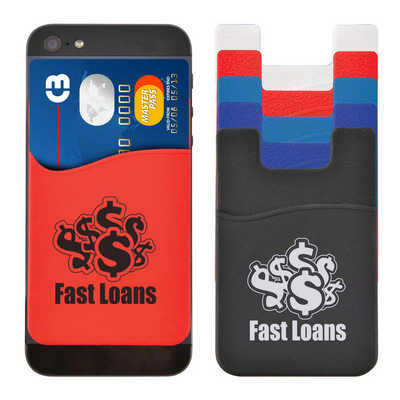 Silicone credit card size holder that attaches to the back of mobile phones / devices with 3M Adhesive. Ideal to hold licence, tickets, keys or bank notes. Colours - Black, Dark Blue, Light Blue, Red, White Size - 56 x 87mm (LxH) Decoration Area(s) - Screen Print (Max 1 colour print) : Pouch - 45 x 45mm (LxH). Price includes : 1 Col 1 Pos Print. Setup is included.